The renewable energy industry has come a long way since 1975, when the first utility-scale wind generation project came online in California. By the end of 2017, all renewable energy sources provided about 17 percent of total utility-scale power generation in the U.S., with about 10 percent of this total coming from wind and solar facilities. While 17 percent may not sound like a lot, it’s double the amount from 10 years earlier. And over this same period, power generation from burning coal declined from about 45 percent of the U.S. total to 30 percent in 2017. This trend is likely to continue according to most energy industry experts as costs continue to drop for renewables and as operating coal-burning plants becomes increasingly uneconomic. So how did we get here? Over time, several factors have emerged, both at the federal and state levels, to support the growth of utility-scale renewable energy projects. Among the most important are federal tax incentives and state-mandated Renewable Portfolio Standards. For many years, the U.S. government has provided tax incentives to encourage domestic fossil fuel production. Starting in the mid-2000s, the government began offering similar incentives for renewables. Chief among these are the Production Tax Credit (PTC) and Investment Tax Credit (ITC), which provide a 30 percent federal tax credit for the owners and investors in renewable energy generation projects. A 10 percent credit applies to other technologies like geothermal and combined heat and power systems. The industry has boomed since the introduction of these credits; however, they are set to decline or expire by 2022. At the state level, Renewable Portfolio Standards (RPS) require state utilities to obtain a percentage, or specified amount, of the electricity they sell from renewable resources. Currently 29 states and the District of Columbia have such standards. According to recent estimates, roughly half of the growth in U.S. renewable energy generation since 2000 can be attributed to these RPS programs. Today, even without tax subsidies, solar and wind power are often cheaper than electricity generated by coal or nuclear over a facility’s lifetime. Likewise, natural gas prices, which were highly volatile in the early 2000s, have now stabilized making it a more economical choice for generating electricity versus coal. As a result, many electric utilities are moving away from coal and increasing investments in renewables and high-tech natural gas-fired power plants that emit much less carbon dioxide (CO2) than existing plants. Even with federal tax incentives sun-setting, industry watchers expect state programs, like RPS, will continue to drive clean energy development while other market forces will come forward. Many clean energy advocates are pushing for widespread carbon pricing plans like market-based cap-and-trade schemes. Such programs have already been implemented in the Northeast and Mid-Atlantic states through the Regional Greenhouse Gas Initiative (RGGI) and in California through Assembly Bill (A.B.) 32. The California program has proven effective. State officials recently announced greenhouse gas pollution in California fell below 1990 levels for the first time since emissions peaked in 2004. Another key market driver is the growing demand from the largest electricity consumers in the commercial and industrial sectors. Currently, 71 of Fortune 100 companies have set renewable energy targets, with 22 of those committing to procure 100 percent of their energy from renewable sources. 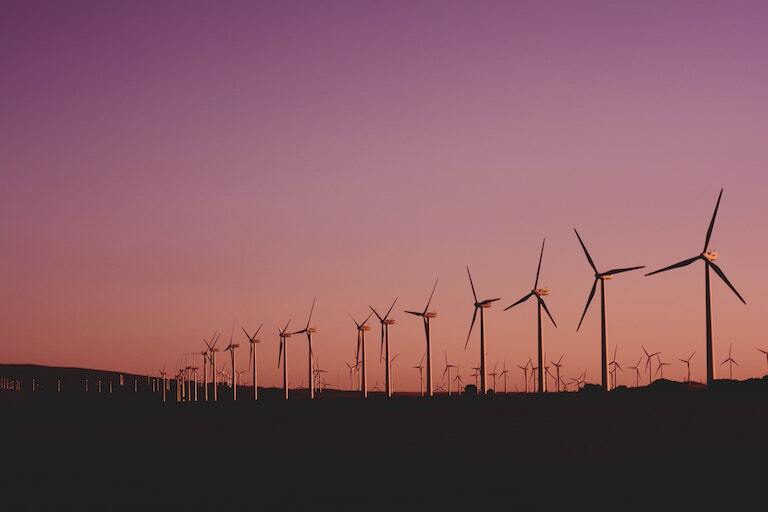 The accounting firm, Deloitte, recently surveyed over 600 businesses across industries and found that nearly half of business respondents are working to procure more electricity from renewable sources. Based on rules created by the Federal Energy Regulatory Commission (FERC), several states today offer some form of electricity market deregulation at the wholesale or retail level or both. In deregulated wholesale markets, companies other than the utility can operate power plants and transmission lines. These companies compete to sell electricity into a wholesale market for retail energy suppliers to purchase and sell to their customers. Deregulation at the retail level means retail customers (commercial, industrial, residential) can choose between different retail suppliers, who compete to provide customers with technologies, solutions and options beyond “one size fits all” electricity. Many in the industry, like Abe Silverman, vice president and deputy general counsel at NRG Energy, believe competitive markets have already demonstrated their impact on renewable energy development as most of the country’s wind and solar power plants are currently located in wholesale power markets. But it won’t be all smooth sailing going forward if the current administration continues to implement coal-friendly policies while downplaying the role of renewables. Withdrawing from the Paris Climate Agreement, repealing the Clean Power Plan, imposing tariffs on solar panels – all these actions could slow progress. In September 2017, the Department of Energy directed FERC to create a bailout plan for uncompetitive coal and nuclear plants couched in the premise that power plants with fuel located on site are needed to guarantee “grid resiliency.” FERC rejected this proposal in January 2018 saying there was no evidence that power plant retirements affect grid resilience. Since then, the administration has continued to develop plans to bail out coal and nuclear plants. A draft of one such plan suggested that Cold-war era laws could be used to create a “strategic electric generation reserve” by compelling grid operators to buy electricity from at-risk fossil fuel plants. As of October, it seems that the administration has shelved this plan, but no official announcement has been made. It seems that with or without federal-level support, market forces will continue to promote growth in low-carbon technologies. Customers large and small are voicing—with their wallets—that renewables continue to be economically and environmentally attractive and the power sector is responding. This article series is sponsored by NRG Energy and went through our normal editorial review process.